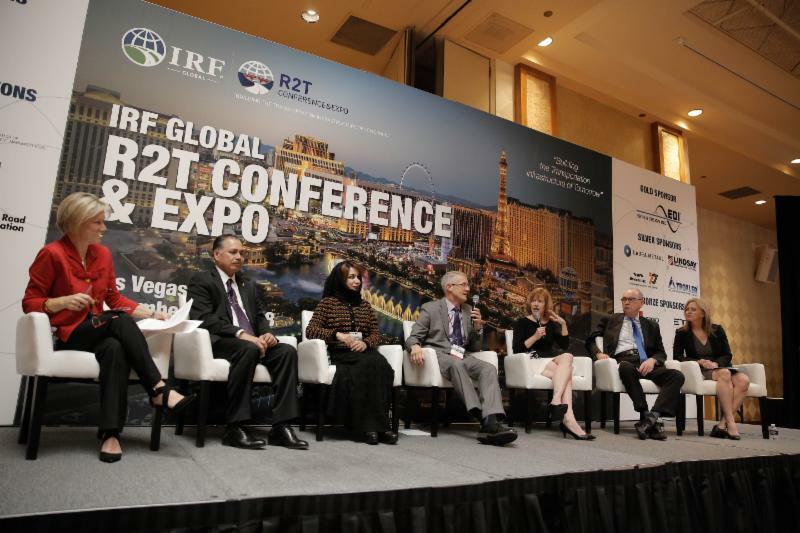 LAS VEGAS — A global summit of road mobility thought-leaders and innovators has opened today in Las Vegas, Nevada at the invitation of the International Road Federation. Nevada DOT Director Rudy Malfabon, ASCE President 2018 Kristina Swallow, AASHTO Executive Director Bud Wright, Dubai Traffic & Roads Agency CEO Eng. Maitha bin Adai, Bechtel Engineering Operations Manager Steven Curtis and Jacobs Highway/Bridge Director Susan Martinovich figure among 200 leading international specialists who will be sharing best practices, research findings, case studies, and though-provoking ideas during the three-day event. Highlighted issues addressed during the Conference include connected & autonomous mobility, innovations in road funding & procurement, leveraging big data in support of preventive road diagnosis & treatment, and environmental stewardship through new pavement design processes. “In overcoming the sector’s increasingly complex mobility challenges, new partnership models need to be identified. By bringing together the private sector, academia and public agencies under the same roof, IRF remains the organization where these industry partnerships can be built,” concluded IRF Vice Chairman Dr. William Sowell. The IRF Global R2T Conference & Expo runs November 7-9, 2018. Live updates are available from the IRF’s social media channels (@IRFhq #IRFR2T).